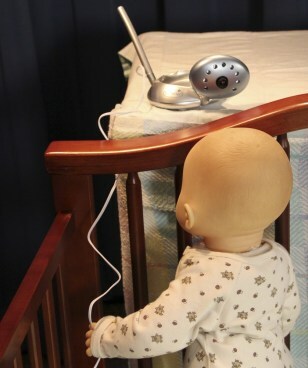 This undated handout photo provided by the Consumer Products Safety Commission (CPSC) shows a Summer Infant video baby monitor. Nearly 2 million Summer Infant video baby monitors were recalled Friday after being linked to the strangulation deaths of two infants. The Consumer Product Safety Commission says the electrical cords on the monitors can be dangerous for babies if placed too close to their cribs.